About Us – Ekana Nursery & Landscaping, Inc.
Ekana Nursery & Landscaping, Inc. Serving North Central Illinois provides a wide spectrum of landscaping services to create a beautiful oasis in your own backyard. Our professionals go the extra mile to meet your expectations. We promise that your satisfaction is guaranteed. I would like to thank you for your donation towards my Eagle Scout Project. I have finished the project with the help of my family, my fellow scouts and with donations towards my project from your and others. I had over 200 hours of time donated; food and plants donated; two statues from family members donated and money from family members, friends and business. This project could not have been completed without help from all of you. I have received many compliments and thanks for the project from the parish members. Just a note to thank-you for a great job on our patio. We are VERY pleased with the way it turned out. We can’t thank you enough for listening to what we wanted and helping us get the design that fit our needs and wants. Landscaping services began in 1989 by installing trees and small shrubs for residential customers. Fall 1991 – First retail tree sale from the nursery was offered because the public kept asking if they could buy trees – this proved to be very successful. 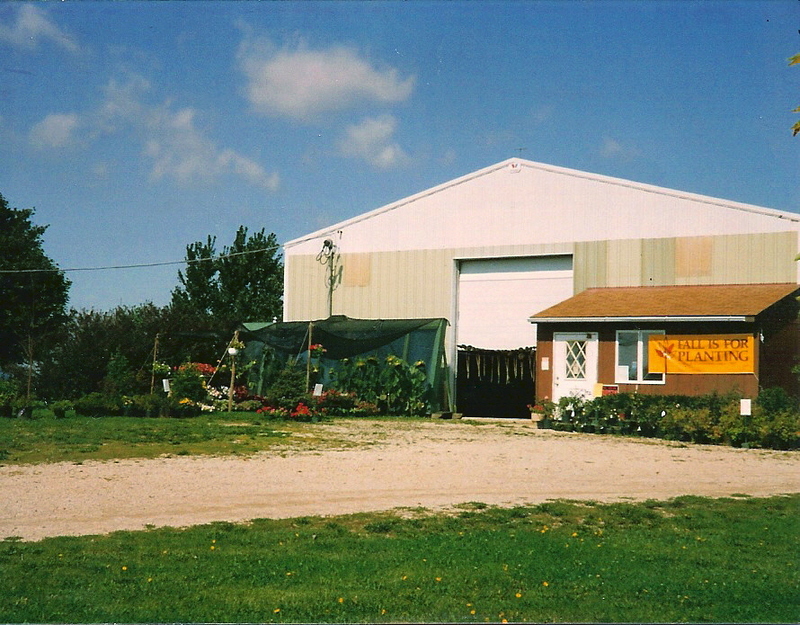 Spring 1992 – Opened the Retail Garden Center offering plants and some supplies in a small area at the front of the building. Between 1992 – 1996 The growing nursery increased in size from .5 acres to 10 acres. Landscaping services increased to included construction of patios, retaining walls, and lawns. 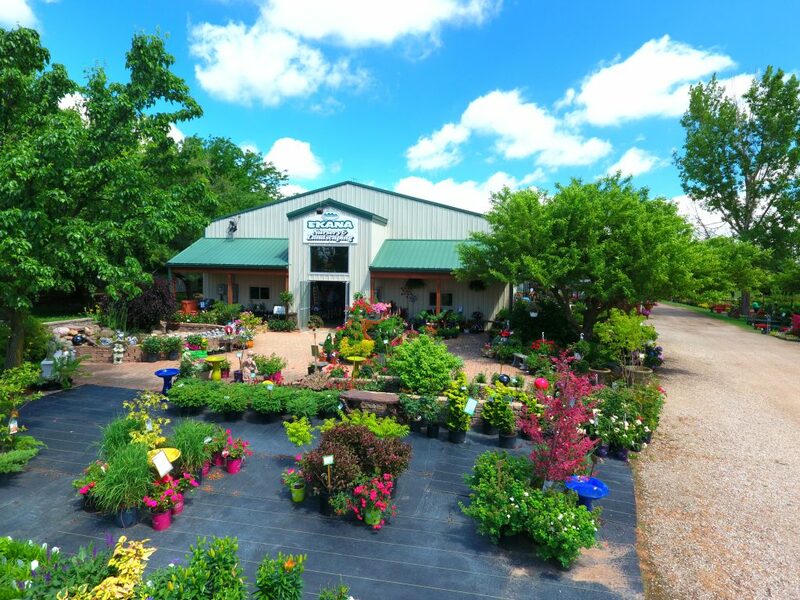 The Retail Garden Center added 1.5 acres to its sales area and expanded the product line to include more plants, water garden products, garden accessories, and much more. 1996-2004 Landscaping became a much larger part of the business offering a wide range of design and installation services including installations of water gardens, waterfalls, and ponds, new landscaping construction, and existing site renovations. Or staff and equipment increased significantly to meet the demand of our Design and Installation Services. The Garden Center increased the staff to better serve our customers and continued to offer more and more products to keep pace with current trends and preferences. The growing nursery continued to grow quality specimen trees, shrubs and ornamentals by adding more acreage into production. In 2005, 2006 and 2007 our facility was improved by remodeling the building. A front patio, planter and water garden were installed to improve our shopper’s experience. The sales yard was also improved to better display our plants and other products. Stop in and see the newest changes made in 2014. As we proceed into the future our enhancements and improvements over the years will provide our customers with the same level of excellence through top quality products, knowledgeable staff, and superior customer service. Our staff in the Garden Center and Landscaping Division has grown along with our facilities to best serve our residential and commercial customers.